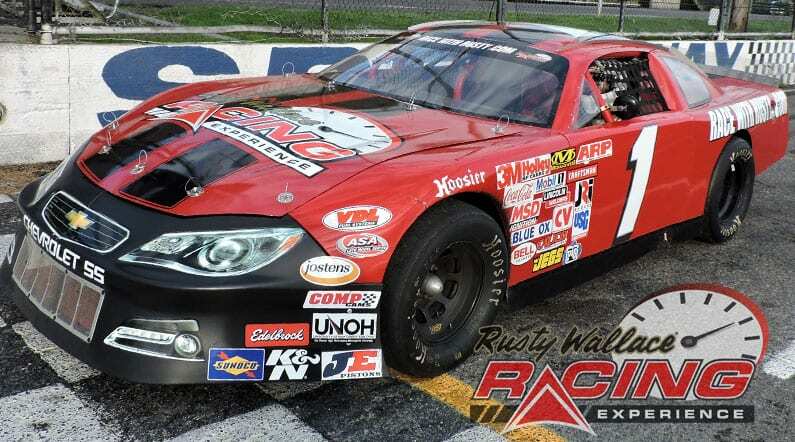 Come join us on track at Evergreen Speedway because it’s your turn to experience the thrill of the Rusty Wallace Racing Experience!! Choose your Evergreen Speedway Driving Experience or Ride Along Experience to begin booking. If you’re giving as a gift or are unsure about a date, you can purchase a gift voucher and you or the recipient will have 90 days to return to the website or call 855-227-8789 and book a date. Evergreen Speedway is a located within the confines of the Evergreen State Fairgrounds in Monroe, Washington. The stadium can accommodate up to 7500 spectators in the covered grandstand and an additional 5000 in the uncovered modular grandstands. The layout of the track is unique in that it incorporates a 5/8-mile paved outer oval, a 3/8-mile paved inner oval, a 1/5-mile paved inner oval, a 1/8-mile dragstrip, and a nationally renowned figure-eight track, a 1/5-mile oval and a 3/4-mile road course. Evergreen Speedway was tabbed the “Super Speedway of the West” by David Pearson on one of his visits to the historic NASCAR track. Evergreen played host to many NASCAR 500 lap events before California and Nevada built their super speedways. 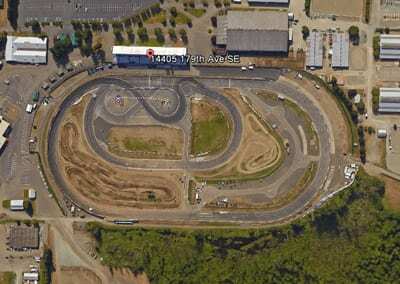 Today Evergreen Speedway is home to the NASCAR Whelen All American Series, the K&N Pro Series West as well Formula Drift. We send out email promotions for individual tracks as well as nationwide. If you would to be included for future promotions, please enter your email below. You will receive any email promotions for Evergreen Speedway as well as Nationwide promotions. You can opt out at anytime. If you would like to receive specific promotions for any other track, please visit that track’s page and submit your email for that track.